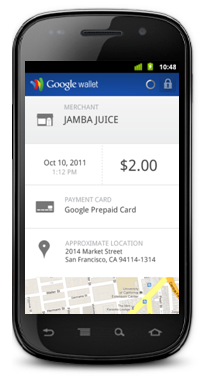 Official Google Blog: More Google Wallet merchants are live. Now you can pay AND save in a single tap. The Offers tab in Google Wallet has been updated to include a new "Featured Offers" section with discounts that are exclusive to Google Wallet. Today, these include 15% off at American Eagle Outfitters, 10% off at The Container Store, 15% off at Macy’s and an all-fruit smoothie for $2 at Jamba Juice. There are many more Google Wallet exclusive discounts to come, and you can save your favorites in Google Wallet so they’ll be automatically applied to your bill when you check out.